Sedona Cake Couture: Sedona Cake Couture Creates Awesome Pink Jeep Cake! Sedona Cake Couture Creates Awesome Pink Jeep Cake! It was entirely edible...right down to the chocolate tires! 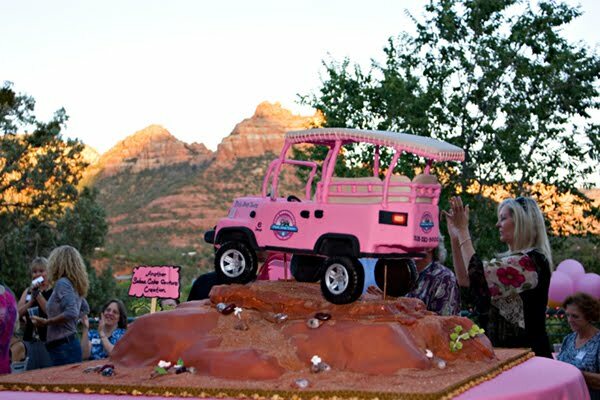 The Sedona icon Pink Jeep Tours celebrated their 50th anniversary and we made the cake!